There is a high degree of uncertainty in predicting future commodity prices that baffles those engaged in monetary policies, academics, economists, and the everyday consumer. High frequency trading (see Direct Edge 2005-) using proprietary algorithmic trading programs accounted for over 25% of all shares traded by the buy side by 2009. In 2009 73% of US equity trading volume was attributed to the activities of a small number of high-frequency trading firms, including divisions of Goldman Sachs and UBS but many more obscure, startup firms (with only 12-100 employees) such as Archelon, EWT Trading, Getco and Peak6 (Heires, Katherine. 2009-07-20Code Green: Goldman Sachs & UBS Cases Heighten Need to Keep Valuable Digital Assets From Walking Out The Door. Millions in Trading Profits May Depend On It Securities Industry News). The entire event/analysis/action cycle has been reduced for traders with the fastest machines to a few milliseconds. Fast computing not rational decision-making counts. Arnuk and Saluzzi (2009) call these activities toxic trade and claim that the high frequency trader seize the best deals at the expense of real investors whose machines are not as fast. NYSE specialists no longer provide price stability. With the advent NYSE Hybrid, specialist market share has dropped from 80% to 25%. There is a saturation of equity quotes with the entire event/analysis/action cycle has been reduced for some traders to a few milliseconds. Canadian-born, Harvard-educated economist Dean of the University of Toronto’s Rotman School of Management, Roger L. Martin argued in his publication entitled Fixing the Game: How Runaway Expectations Broke the Economy, and How to Get Back to Reality (2011-05) “The mayhem in our capital markets is ultimately the unfortunate effect of tightly tying together two different markets: the real market and the expectations market.” In her article printed in The Atlantic Lane Wallace (2009-07-07) admired Martin’s use of an easy-to-understand football analogy to explain how flawed economic theories about compensation and investment contributed to the 2008 melt-down on Wall Street. I have been unable to find the original Financial Times article to which Wallace referred but Martin has used the example of the New England Patriots’ stellar 16-0 record in their 2007 winning streak in Fixing the Game (2011) and this section is posted on Huffington Post. In it Martin explained how MVP Quarterback Tom Brady, the head coach and the team’s superlative 2007 performance was perfect even in measurable “real” terms. He uses Brady’s real performance value as an analogy for real stock market values and real embodied customers. He contrasts this with the speculators’ expectations market based on the point spread. The Patriots’ performance for example was only mediocre because the Patriots covered the point spread only ten times. Martin explained that “In betting vernacular, a favored team covers the spread when it wins the game by more than the point spread. In this case, the point spread is the moral equivalent of the stock price, in that it captures the consensus expectations of all bettors (Huffington Post).” Martin argued that it is impossible to meet bettors’ expectations forever and expectations grow to unattainable levels in both football and the stock market. In “American capitalism, CEOs are compensated directly and explicitly on how they perform against the point spread; that is, against expectations (Martin 2011 cited in Huffington Post).” And CEOs increasingly focus on managing share price over the short run something that is easier to manipulate. Shareholders are better off however when the focus of their investment managers is on the long term, on increasing share price more or less forever. In this horse-race spread-covering betting scenario, the interests of shareholders and executives are not aligned. There are those who claim that perceptions not realities create oil prices (Dicker 2011:309). He argued that the illogical outcome of BP disaster (the decrease in the price of oil when the supply was less than demand) is another example of the way in which oil markets and prices are influenced by quick analysis of traders and investors looking to benefit from a well-placed bet not by legitimate changes in fundamental supply. While gurus such as Bernstein (2000) argue that gambling is for anyone but speculation is for professionals, the chaos and unpredictability of the current global economy have been linked to a growing culture of gambling in futures trading rather than level-headed professionalism. Gamblers create risk simply by placing a bet; professional speculators “transfer risk from the hedgers to the speculators” and it therefore called risk management instead of gambling. “It rained last night so the price of soy beans will be down today.” Although the basis of fundamental analysis in economics is supply and demand, the actual fundamental analysis of specific markets that might generate accurate price predictions are complicated as numbers of factors overlap and massive quantities of data need to be considered. The simple equation involves how much of a commodity or service are buyers willing to pay at a given time and place. There used to be a correlation between price and consumption. Factors that impact on price of commodities include the state of the economy (local, regional, national and international – inflationary, recessionary with rising or falling employment), availability of alternate products or services, storage possibilities, weather, seasonality, price cycles, price trends, government subsidies, political influences, protectionist attitudes, international tensions, fear of war, hoarding, stockpiling, demand for raw materials (sugar, petroleum, copper, platinum, coffee, cocoa), currency fluctuations, health of the economy, level of unemployment, housing starts. Most technical systems are not effective in making traders money. While some argue that “policymakers care only about expected economic outcomes and not the uncertainty surrounding those outcomes” Pesenti and Groen claim that policymakers are concerned about the risks to their projections as well as the projections themselves (Pesenti and Groen 2011-03)?” Should and how does this affect the way in which policies are made? 2011 High-frequency trading firms using high-frequency techniques (software-based mechanisms: high frequency algorithmic trading) earned $12.9 billion in profit in the last two years (2009-2011), according to TABB Group, a specialist on the markets. 2011-07-08 U.S. stocks slumped. Crude-oil futures fell 2.9% and traded just below $96 a barrel (Wall Street Journal). 2011-07-04 “Speculators unburned.” The Economist. Oil traders are free to bid for it. And it seems they did. The Department for Energy says its auction was heavily oversubscribed with bids from more than 90 parties. For reference, there are 148 refineries in America, but most are owned by a few major players such as Exxon, who would do the actual bidding. Traders who anticipate the oil price will rise, and have the capacity to store oil, can buy physical stocks now, and sell oil forward. As long as the price rises enough to cover storage costs, they will turn a profit. If a trader was able to purchase West Texas Intermediate—the oil held in America’s Strategic Petroleum Reserve (SPR)—at the spot price on June 24th, they would already be sitting on a tidy profit. 2011-07-04 Capacity (Quotes per Second) CQS capacity was increased by 33% to 1 million quotes/second. On July 5th, 2011 there was a micro-burst of activity: 33% more active than any trading day in history (Nanex Research). 2011-06-27 “The London Stock Exchange (LSE.L) has launched a super-fast trading service in its latest bid to court more business from high-frequency trading (HFT) firms.” (Jeff, Luke. 2011-06-27. “LSE makes latest high-frequency move.” London:Reuters. 2011-06-28 “Futures advanced a second day as Brent crude oil climbed. Gasoline and heating oil rose as crude and equities gained and the dollar weakened against the euro.”(Powell 2011-06-28). 2011-06-23 In its commitment to keep oil markets well-supplied the Paris-based International Energy Agency (IEA) announced that the 28 IEA member countries for the third time in the IEA history, they would release 60 million barrels of oil (2 million barrels of oil per day from their emergency stocks over an initial period c. June-July 15) to offset the ongoing disruption of oil supplies from Libya. By May 30 132 mb of Libyan light, sweet crude oil was not available to the market and analysts expect this to continue through 2011. This supply disruption has been underway for some time and its effect has become more pronounced as it has continued. The normal seasonal increase in refiner demand expected for this summer will exacerbate the shortfall further. Greater tightness in the oil market threatens to undermine the fragile global economic recovery (International Energy Agency 2011-06-23). 2011-06-15 Britain’s top banks will have to protect their retail business from investment banking activities (casino banking) after “the government backed a plan to overhaul the industry and shield taxpayers from future losses (more).” See Financial Times also. “When you see oil prices spiking by $2, $3 or $5 a day, that’s not a situation Alberta wants to be in because it’s not driven by (market) fundamentals, it’s being driven by speculators”. 2011-05-02 through 2011-05-07 The price of silver dropped 25% in just four trading days. 2011-04 Investors pushed the price of silver up 57% in 2011 before a massive correction started on May 2, 2011. 2011-03 In the wake of the U.S. real estate collapse, declining returns in the bond market, worries about a global slowdown and fears that after a nice run, equities have nowhere to go but down, big hedge funds and other sophisticated market pros have been loading up on cotton, corn, soybean oil and other soft commodities. Milner, Brian. 2011-03. “Soaring commodity prices at mercy of demand – from speculators.” Globe and Mail. 2011-03 A rally in commodity prices resurrected inflationary threats (Pesenti and Groen 2011-03). 2011-01-12 American International Group, which received a massive bailout in 2008, claimed it expected to complete a recapitalization that would allow it to fully pay back the government (more). 2011-06-01 Investors should prepare for renewed swings in prices of commodities (oil, natural gas, orange juice) “swings expected after weather forecasters predicted a busy Atlantic hurricane season.” Blais 2011-06-01 .” Financial Times. London. 2010-12 From 1977-2010 the compound annual sharehold value continues to decrease compared to pre-shareholder-value era (1933-1977) (Martin 2011 cited in Huffington Post).” Companies tend to boost earnings per share without creating value but gross-margin return on inventory investment drives longer term value creation. CEOs need to be held accountable for long-term performance by linking compensation to such metrics as multiyear stock performance. see Lek. 2010-09 Investment banker multimillionaire 59-year-old American Bob Diamond was appointed as head of Barclays megabank raising concerns that the Treasury should separate traditional retail banking from casino banking. Casino banking can lead to potential massive profits or loss depending on the level of risk of investments. Vince Cable: “Diamond, with his £20m bonuses, is the unacceptable face of this bonus-driven banking,” Oakeshott said. “This highlights the need to break-up and de-risk the British banking system.” Barclays appointment highlights ‘casino’ banking fears Business secretary says Barclays’ appointment of Bob Diamond illustrates dangers of having retail banks with massively profitable investment arms attached to them. 2010—08-16 The CFTC sanctioned ConAgra Trade Group, Inc. (CTG) $12 Million for causing a non-bona fide price to be reported in the NYMEX Crude Oil futures contract. On January 2, 2008, CTG was the first to purchase NYMEX crude oil futures contracts at the then-historic price of $100. As a result of CTG’s effort to be the first to trade at the $100 level, CTG caused a non-bona fide price to be reported, according to the CFTC order. (CFTC Press Release 5873-10, August 16, 2010) (more). 2010-05-24 A YouTube video of High Frequency Trading explained by William Arnuk, the 13-year-old son of Sal Arnuk, who works for the HFT research firm, Themis Trading. 2010-05 With the flow from BP’s Deepwater Horizon huge oil spill unstaunched both stock and oil markets crashed with the brunt of the losses in the energy sector. Oil prices fell. (Dicker 2011:305). 2010-04-20 BP’s Deepwater Horizon rig caught fire resulted in oil spill. 2010-01 Organizations “representing the electric and natural gas industries and serving nearly all energy customers in the United States, support the goals of the Administration and Congress to improve transparency and reduce systemic risk in over-the-counter (OTC) derivatives markets. As the Senate considers financial reform legislation, [they argued] that it preserve the ability of companies to access critical OTC energy derivatives products and markets. engaged in off-market trading for oil which is unregulated. Estimates for the OTC derivative market for all assets range upward of $600 trillion. See (Edison Electric Institute (EEI). 2010-01. “OTC Derivatives Reform: Energy Sector Impacts.”). 2009-10-08 “High Frequency Trading Technology: a TABB Anthology.” TABB reported that software capable of electronic routing and execution based on algorithms account for more than 25% of all shares traded by the buy side today. A relatively few high frequency proprietary trading firms experienced a meteoric rise and now wield far greater influence on the markets today than most people recognize. 2009-10-30 Market analysts argued that oil markets were no longer tied to supply and demand fundamentals. 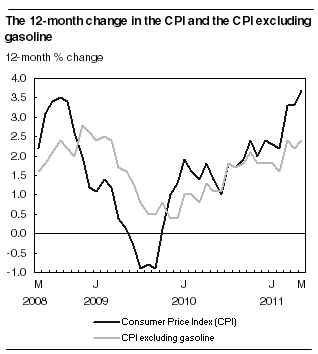 They were concerned with the extremely high correlation between crude oil prices and US currency (“Flood 2009-10-30). 2009-06 Signs of an approaching global economic recovery re-emerged (Pesenti and Groen 2011-03). 2009-06-28 Evans-Pritchard, Ambrose. “China’s banks are an accident waiting to happen to every one of us. Fitch Ratings warned that China’s banks have lent up to $1,000bn (£600bn) since December 2008. “Money is leaking instead into Shanghai’s stock casino, or being used to keep bankrupt builders on life support.” This does not help the world economy. 2009-03-24 The Federal Reserve, working closely with the Treasury, made the decision to lend to AIG on September 16, 2008. It was an extraordinary time. Global financial markets were experiencing unprecedented strains and a worldwide loss of confidence. Fannie Mae and Freddie Mac had been placed into conservatorship only two weeks earlier, and Lehman Brothers had filed for bankruptcy the day before. We were very concerned about a number of other major firms that were under intense stress. AIG’s financial condition had been deteriorating for some time, caused by actual and expected losses on subprime mortgage-backed securities and on credit default swaps that AIG’s Financial Products unit, AIG-FP, had written on mortgage-related securities. As confidence in the firm declined, and with efforts to find a private-sector solution unsuccessful, AIG faced severe liquidity pressures that threatened to force it imminently into bankruptcy (more). Claims of bondholders and counterparties were paid at 100 cents on the dollar by taxpayers, without giving taxpayers the rights to the future profits of these institutions. Benefits went to the banks while the taxpayers suffered the costs (more). 2008-10-18 The President of the United Nations General Assembly, “Miguel D’Escoto Brockmann, announced his intention to establish a taskforce of experts to review the workings of the global financial system, including major bodies such as the World Bank and the IMF, and to suggest steps to be taken by Member States to secure a more sustainable and just global economic order (http://www.un.org).” Noted economist and Kerala State Planning Board Vice-Chairman Prabhat Patnaik was included in a four-member high-power task force of the United Nations (U.N.) to recommend reforms of the global financial system. The task force Commission of Experts on Reforms of the International Monetary and Financial System (2009), informally known as the Stiglitz Commission, was headed by Nobel Prize-winning economist Joseph Stiglitz. 2008 Morgan Stanley and Goldman Sachs, the last two investment banks left standing, announced they would become traditional bank holding companies, marking the end of an era for Wall Street (more). 2008-07 2008 Lehman Brothers failed. Bubble popped and money fled from oil investment. Trading value of oil dropped by 80% (Dicker 2011). 2008 Oil reached $147 a barrel (Dicker 2011). 2008-04 The macroeconomic outlook changed rapidly and dramatically as the global economy experienced the near-collapse of trade volumes and the associated plunge in commodity prices was the harbinger of pervasive disinflation risks (Pesenti and Groen 2011-03). 2008 In the ten years after Born’ s 1998 proposal, the market in derivatives exploded from $27 trillion to one worth more than $ 600 trillion. By comparison, the entire U.S. economy was worth $ 14 trillion. Hirsch, Michael. 2010. Capital Offense: How Washington’s Wise Men Turned America’s Future Over to Wall Street. New Jersey: John Wiley. 2008-04-02 – After two decades spent expanding in Britain, the United States and other developed economies, the world’s third biggest bank is shifting its ….. or if the government forces banks to separate their retail arms from investment banking, dubbed “casino banking” by some politicians. .
2008 PM Harper apologized for past treatment of Canada’s First Nations. 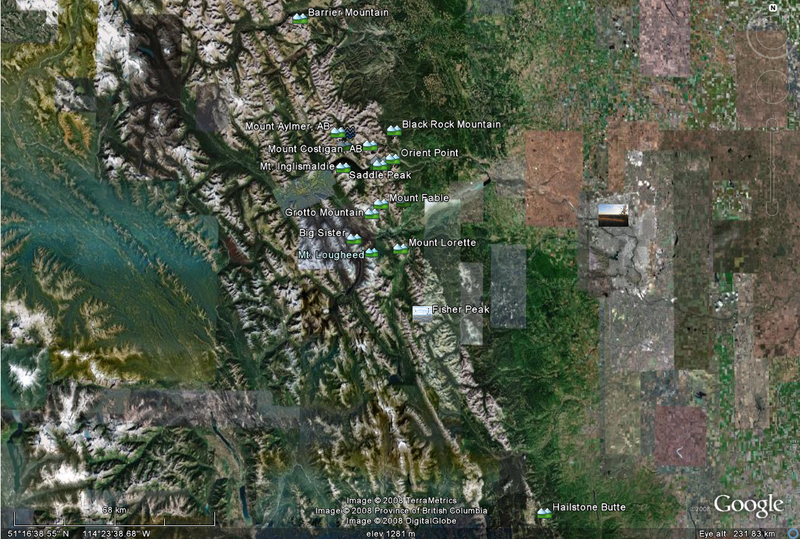 2008 Impatient development of nonrenewable resources in the oil sands. 2008-03-24 Reich, Robert B. 2008-03-24. Is the Game About to Stop? American consumers’ buying power was less than the goods and services the U.S. economy is capable of producing. Reich predicted fewer jobs, even less consumption which would lead to even fewer jobs and possible a recession which could become a full-fledged depression. Reich argued that fiscal and monetary policies could perhaps make up for consumers’ lack of buying power. American consumers were already deep in debt, their homes were losing value, their paychecks were shrinking. 2008 Meteoric rise of oil commodities market directly caused by irresponsible speculators playing with volatile, unpredictable hedge funds that play havoc with the market making a fortune for some while destroying economic, social and ecological environments all around them. 2008 Calgary has a high percentage of young millionaires with lots of disposable income. There are also c.4000 homeless people in Calgary, the oil capital of Canada. c. 40% of the homeless are working poor who are unable to afford housing. 2006-03-07 The merger of NYSE and Archipelago was completed forming the NYSE Group, Inc., a holding company that operates two securities exchanges: the NYSE and NYSE Arca, Inc. They are a leading provider of securities listing, trading and market data products and services (more). 2005Many banks operated proprietary trading units that were organized much like hedge funds. Risk exposures of the hedge-fund industry began to have a material impact on the banking sector, resulting in new sources of systemic risks (more). 2005 Direct Edge, a small, electronic trading company opened for business using high-frequency trading (lightning-fast computers equipped with sophisticated and powerful algorithms that are capable of executing trading strategies) and flash orders (literally flashing their orders to their own investors for about a tenth of a second before releasing it to the public market). 2005-07 S&P upgraded China’s sovereign rating by one notch to A-minus, citing China’s aggressive overhaul of its financial sector and improved profitability. China is rated ‘A2’ by Moody’s Investors Service and ‘A’ by Fitch Ratings. Liu, Henry C. K. World Trade Needs a Global Cartel for Labor (OLEC). 2004-08-02 Revolutionary electronic trading practices transformed the stock market. The NYSE filed to expand using the NYSE Direct+® system. NYSE Direct+® eliminated limits on the size, timing, and types of orders that can be submitted via Direct+, significantly increasing the level of purely electronic trading at the NYSE. 2003 The price of oil had remained relatively stable from 1990 to 2003 when the price of oil became volatile. The price increased sixfold in five years then lost 80% of its value in 6 months (Dicker 2011:viii). Within months, investors voted with their feet and made the electronic markets that featured the liquidity and narrower spreads of the high frequency traders the dominant venues for the QQQ. Investors never looked back. Ultimately, the NYSE and the Nasdaq Stock Market were compelled to purchase these electronic markets that catered to high frequency traders (Archipelago was purchased by the NYSE and INET by the Nasdaq Stock Market). The traditional, uncompetitive Wall Street market maker model was replaced and the exchanges were transformed to open, fair and transparent electronic marketplaces. 2000 More than 90 foreign futures exchanges emerged with the ever-increasing demand for new financial instruments “to hedge against fluctuating interest rates, changing foreign exchange rates and institutional securities portfolios (Bernstein 2000:46). 2000 The Chicago Mercantile Exchange (CME) trades futures in livestock futures, currency futures, interest rate futures, stock index futures (Bernstein 2000:70). 1999 The most actively traded future contracts were interest rates, futures, stock index futures, energy futures, currency futures and agricultural futures (Bernstein 2000:72). 1998 Long Term Capital Management collapsed. 1998Security and Exchange Commission ruling allowed electronic communication networks (ECN’s for short) to trade equities in competition with the traditional exchanges. New technologies made the automation possible resulting in the development of high frequency trading: Lightening-quick computers, aided by powerful algorithms, buy and sell stocks based on price or other markers (more). 1998 Brooksley Born, chairman of the Commodity Futures Trading Commission declared that the unregulated regulation of private derivative contracts could “pose grave dangers to our economy.” He argued forcefully for regulation of private derivative contracts but lost to Alan Greenspan and Robert Rubin who were against policing the deals. 1990 The price of crude oil rose dramatically when Hussein invaded Kuwait. 1986 The total volume of futures contracts trading was 184 million and the T bonds were among the most actively traded future contracts (Bernstein 2000:71). 1987 The World Commission on Environment and Sustainable Development (Brundtland Commission) defined sustainable development as meeting the needs of the present without compromising the ability of future generations to meet their own needs. 1982 Futures trading in the US was self-regulating and anyone in the business had to become a member of the National Futures Association (NFA). 1970s The Bretton Woods system broke down in the early 1970s. This was followed by a period of financial market liberalization and deregulation, by a surge of private capital flows and by the increasingly global reach of financial institutions. 1974 The US Congress passed the Commodity Futures Trading Commission Act and established Commodity Futures Trading Commission (CFTC) to protect participants in the futures market from fraud, deceit and abusive practices such as unfair trading practices (price manipulation, prearranged trading, trading ahead of a customer), credit and financial risks, and sales practice abuses (Bernstein 2000:32). Individual nation states have similar regulating bodies. 1972 The total volume of futures contracts trading was 18 million and the top ten most actively traded future contracts were agricultural futures (Bernstein 2000:71). 1970s There was increasing volatility in international currency exchange rates as the Bretton Woods agreement began to break down. Business people transferred risk of volatility in international markets by hedging with speculators willing to take the risk. Futures markets began to expand into foreign currencies as fluctuated wildly competing against each other and the US dollar. 1960s Futures trading, also known as commodities trading, the final frontier of capitalism, became a popular speculative and investment vehicle in the US in the 1960s (Bernstein 2000:1). 1960s Futures trading, also known as commodities trading, the final frontier of capitalism, became a popular speculative and investment vehicle in the US in the 1960s (Bernstein 2000:1). These financial instruments offer unlimited profit potential with relatively little capital. Speculators are drawn to the possibility of quick money or what I like to call impatient money. The great wealth accumulated from speculative financial instruments has spawned careers in brokerage, market analysis, computerized trading, computer software and hardware, accounting, law, advertising which themselves subdivide into more recent opportunities such as those related to risk-management. 1929-30 “As mass production has to be accompanied by mass consumption, mass consumption, in turn, implies a distribution of wealth — not of existing wealth, but of wealth as it is currently produced — to provide men with buying power equal to the amount of goods and services offered by the nation’s economic machinery. Instead of achieving that kind of distribution, a giant suction pump had by 1929-30 drawn into a few hands an increasing portion of currently produced wealth. This served them as capital accumulations. But by taking purchasing power out of the hands of mass consumers, the savers denied to themselves the kind of effective demand for their products that would justify a reinvestment of their capital accumulations in new plants. In consequence, as in a poker game where the chips were concentrated in fewer and fewer hands, the other fellows could stay in the game only by borrowing. When their credit ran out, the game stopped.” Eccles, Marriner S. 1951. Beckoning frontiers: Public and personal recollections Ed. Hyman, Sidney. Alfred A. Knopf. 1919 – 1945 The Chicago Mercantile Exchange (CME) traded futures in eggs, butter, apples, poultry and frozen eggs (Bernstein 2000:70). 1865 The Chicago Board of Trade (CBOT) organized trading of futures contracts. 1848 The Chicago Board of Trade (CBOT) was formed as a price risk occurred in the grain markets of Chicago. It was a cash market for grain. Forward or “to-arrive” contracts began trading at the CBOT almost immediately. 1710 The first modern organized futures exchange began with the Dojima Rice Exchange in Osaka, Japan.The Japanese feudal landowners began to use certificates of receipt against future rice crops. As these futures certificates became financial instruments in the general economy the value of the certificates would rise and fall as the price of rice fluctuated. The Dojima Rice Exchange emerged as the world’s first futures market where speculators traded contracts for the future delivery of rice or “certificates of receipt.” The Japanese government outlawed the practice when futures contracts (where delivery never took place) began to have no relationship to the underlying cash value of the commodity leading to wild and unpredictable fluctuations (Bernstein 2000:30). High-frequency trading firms (they self-identify as Automated Trading Professionals) use high-frequency techniques (software-based mechanisms: high frequency algorithmic trading) with real-time, co-located, high-frequency (sub-millisecond) trading platform—one (data collected then orders: created-routed-executed). Wall Street banks and hedge funds also use high-frequency techniques but new (ie emerged formed in c. 1999-2001) small (most have as few as 12 to 100 employees), independent firms account for most high-frequency trading, handling 60 % of the 7 B shares that change hands daily on US stock markets on Wall Street and hedge funds. These high-frequency trading firms have formed a trade group called Principal Traders Group in an effort to hold off regulators who want to curb their activities. The members of the FIA Principal Traders Group is the industry’s response to the Joint CFTC-SEC Advisory Committee examination of the market structure and policy issues arising from the extraordinary market turmoil that occurred on May 6, 2010. See (Bowley, Graham. 2011-07-18. “ Split-second traders aim to polish image.” New York Times.) High-frequency trading firms using high-frequency techniques (software-based mechanisms: high frequency algorithmic trading) earned $12.9 billion in profit in the last two years (2009-2011), according to TABB Group, a specialist on the markets. TABB Group content focused on the business and technology issues facing US equity and options trading. RGM Advisors, is a high-frequency trading firm in Austin, Texas. RGM CEO Richard Gorelick, is leading his company to seek a higher public profile. Universal Banking Model – Investment and retail banking in one organisation. There is widespread concern that casino banking endangers security of traditional retail banking. Bernstein, Jake. 2000. How the Futures Markets Work. New York Institute of Finance. Although it is quite old for the fast-paced risk management industry, there are certain basics that ring true. He briefly traced the history futures contracts leading to the volatile environment where agricultural futures were replaced by the less predictable currency markets. Of course, his book was written long before the meteoric rise of private equity funds. My concern remains with the absent ethical component on trading floors. Ethical responsibilities are as elastic as the regulations that govern the centuries old practice of hedging. In the period of late capitalism and the emergence of risk society, the cost of destructive unintended byproducts have created havoc in ways that far exceed the commodities/service value. The road to profits and impatient money, is paved with casualties. Berstein’s facts of market life are telling. He encourages simple methods and systems which require few decisions and little mental conflict. Too much thought is not conducive to successful trading. Too much analysis costs lost opportunities. Keep systems simple. Control your emotions. Practice caring less so that you remain more objective. Don’t ask why. Knowing why may hinder you more than it will help you. Patterns are the best indicators available (What feeds into a “pattern” however is not a science). Timing is what makes money in the futures market (Bernstein 2000:282-3). In other words, futures’ gurus encourage young hedge fund analysts to not think too much about factors such as displacement of peoples, the degradation of living conditions and the way in which they unwittingly contribute to making vulnerable ecologies and peoples even more vulnerable. Their gurus tell them to not think about the impact of their actions. They are told to not ask why the prices of essential commodities like fuel and food that they are playing with, are pushing certain groups into unimaginable levels of social exclusion. In the end groups at-risk to health degradation are always those least able to protect themselves. How convenient that the gurus do not factor in these social issues. They are entirely absent from finance reports. But then a lot of information is purposely not included in financial and business reports. Bernstein argues that the simpler systems that take fewer things into consideration will lead to more profits. Yet when he lists off all the potential factors in operation in even a simple fundamental analysis, it is not at all simple. It begins with the highly complex. The algorithms involved may appear to be simplified through the use of databases that seem to generate accurate, objective hard facts. In reality, the accuracy of any query depends on what was fed into it. Bernanke, B. S. 2008. “Outstanding Issues in the Analysis of Inflation.” Speech at the Federal Reserve Bank of Boston. 53rd Annual Economic Conference. Chatham, MA. Blais, Javier. 2011-06-01. Commodity swings expected after US storms forecast.” Financial Times. London. Coyle, Diane. 2011. The Economics of Enough: How to Run the Economy as If the Future Matters. Princeton University Press. Cuthbertson, Richard. 2008-06-17. “Energy battles boiling over: A Wall Street analyst attending Calgary’s prominent energy investment forum found himself in the eye of a growing environmental storm battering Alberta’s oilsands — one of several clashes centred on the energy sector Monday.” Calgary Herald. Eccles, Marriner S. 1951. Beckoning frontiers: Public and personal recollections Ed. Hyman, Sidney. Alfred A. Knopf. Flood, Chris. 2009-10-30 “Markets: Oil dips after US GDP boost.” Financial Times. Hirsch, Michael. 2010. Capital Offense: How Washington’s Wise Men Turned America’s Future Over to Wall Street. New Jersey: John Wiley. Lewis, Michael. 1989. Liar’s Poker. W.W. Norton & Company. Martin, Roger L. 2011-05. Fixing the Game: How Runaway Expectations Broke the Economy, and How to Get Back to Reality. Harvard Business School. Orphanides, Athanasios, and John C. Williams (2007). “Robust Monetary Policy with Imperfect Knowledge,” Journal of Monetary Economics, vol. 54 (July), pp. 1406-35. Pain, Nigel, Isabell Koske, and Marte Sollie (2006). “Globalisation and Inflation in the OECD Economies,” OECD Economics Department Working Paper Series 524. Paris: Organisation for Economic Co-operation and Development, November. Powell, Barbara. 2011-06-28. “Gasoline Futures Gain as Crude, Equities Advance, Dollar Drops.” Bloomberg. Rich, Robert W., and Charles Steindel (2007), “A Comparison of Measures of Core Inflation,” Federal Reserve Bank of New York, Economic Policy Review, vol. 13 (December). Wallace, Lane. 2009-07-07. “The Uncommon Navigator: What Wall Street Should Learn from the NFL.” The Atlantic. An article in (The Economist 2010-11-25) noted that Canada had survived the global financial crisis better than many other developed countries: Canadian banks and public finances are sound, and the economy recovered quickly and strongly from recession.” However, in the same article it was noted that “Canada ranks 22nd-worst out of the 31 countries in the OECD, in terms of child poverty. More than 3m Canadians (or one in ten) are poor; and 610,000 of them are children. (The Economist 2010-11-25).” This timeline of selected events related to child poverty in Canada attempts to trace the social history and compile reliable references on the successes and failures, progress and stagnation on the path to the eradication of child poverty in Canada. 2012 The Innocenti Report uses Statistics Canada ‘s Survey on Labour and Income Dynamics (SLID), 2009 for the 2012 report. 2011-11 Public Interest Alberta, the Alberta College of Social Workers, and the Edmonton Social Planning Council published their report entitled “In This Together: Ending Poverty in Alberta.” The publication contributes to the ongoingCampaign 2000 project. 1990-2010 Canada has enjoyed long periods of steady growth (The Economist 2010-11-25). 2010-11 Canada ranks 22nd-worst out of the 31 countries in the OECD, in terms of child poverty. More than 3m Canadians (or one in ten) are poor; and 610,000 of them are children (The Economist 2010-11-25). 2010-11 Campaign 2000 reported that child poverty is now as bad as it was in 1990 (The Economist 2010-11-25). 2010-11 Food Banks Canada reported that 900,000 Canadians rely on food handouts, up by 9% on last year (The Economist 2010-11-25). 2010 Canada has about 300,000 homeless people (The Economist 2010-11-25). 2010 British Columbia, one of the richest Canadian provinces has one of the highest rates of child poverty (10.4%) after taxes on family income. 2010 Some Canadian provincial governments, including those of populous Ontario and Quebec, have launched poverty-reduction programmes; many include attempts to prod or help people back into work (The Economist 2010-11-25). 2010 Newfoundland financed poverty eradication programs through its royalties from oil and mining and successfully has cut its poverty rate in half (to 6.5%) (The Economist 2010-11-25). 2010 The only strategy acceptable to Stephen Harper’s Conservative administration to respond to poverty is “the sustained employment of Canadians”. (The Economist 2010-11-25). 2009-12 The Subcommittee on Cities, The Standing Senate Committee on Social Affairs, Science and Technology published a report entitled “In From the Margins: a Call to Action on Poverty, Housing and Homelessness.” described as “an excellent roadmap for poverty reduction.” One of the 72 recommendations towards the eradication of child poverty was to increase the National Child Benefit to reach $5,000 by 2012 [Recommendation 34]. 2009 The number of Alberta children living in poverty rose from 53,000 in 2008 to 73,000 in 2009 (CBC 2011-11-24 citing (In This Together: Ending Poverty in Alberta). 2008 When Canada entered the brutal recession there were c. 3 million Canadians living in poverty using the standard measure, Statistic Canada’s after-tax low-income cut-off (LICO) (Yalnizyan 2010-06-21). 2008 Witnesses at the senate inquiry on poverty, described challenges of raising children in poverty, and of increasing earnings in the labour market without affordable care for children that also contributes to their development and preparation for school (Yalnizian, Browne, Battle, Issue 4, 28 February 2008). The same witnesses emphasized that a small universal contribution to families with young children, like the current Universal Child Care benefit, was not sufficient to purchase childcare (GC 2008-06-08). 2007 The child poverty rate in Canada was still 11.7%. Canada experienced a 50% real increase in the size of its economy from 1989 to 2007. 2007-11-26 Almost 30 per cent of Toronto families – approximately 93,000 households raising children – live in poverty, compared with 16 per cent in 1990. [The Mercer annual Cost of Living Survey of 143 major cities around the world measures the comparative cost of over 200 items in each location, including housing, transportation, food, clothing, household goods, and entertainment. In 2006, Toronto was ranked as the most expensive city in Canada, just slightly ahead of Vancouver.] Since 2000, the city has seen a net loss of jobs, many of them well-paying and unionized, while elsewhere job creation is on the rise. At the same time jobs have been replaced by temporary, part-time and contract work that offer no job security, benefits or eligibility for employment insurance. As a result, an alarming number of households are in deep financial trouble as seen by an increase in the number of evictions, family debt and bankruptcies since 2000, a year when the crippling recession of the 1990s had clearly eased in the rest of the country, the report says. From 1999 to 2006, landlord applications for eviction due to nonpayment of rent climbed from 19,795 to more than 25,000. Also, the number of people receiving credit counselling in Toronto has almost doubled in the past six years to an average of 4,534 per month. Not surprisingly, the number of moneylending outlets has increased almost eightfold since 1995 to more than 300, largely concentrated in the low-income neighbourhoods. United Way of Greater Toronto. 2007. Losing Ground: The Persistent Growth of Family Poverty in Canada’s Largest City, (Monsebraaten and Daly 2007-11-26 ). 2007-05-09 The former Ontario premier Bob Rae was one of four panellists at at the Toronto Star-sponsored forum on the growing income gap held at the St. Lawrence Centre and attended by 250. Rae argued that, “We now have to restore and renew our commitment to help people in difficult times [to invest] in affordable housing, child care and education” [. . .] Rae noted that Canada is the only government in the Organization for Economic Co-operation and Development that doesn’t have a national housing policy, and that’s reflected in the country’s poverty figures. Economist Yalnizyan, research director of the Toronto Social Planning Council remarked that “Income inequality is the second inconvenient truth in our society. [G]overnments need to act now – not only to tackle poverty, but to ensure everyone is benefiting from a healthy economy (Monsebraaten and Daly 2007).” Stop picking away at the edges of poverty, say forum speakers, and take a leaf from Ireland’s comprehensive plan. 2007-03 The Ontario Child Benefit, announced in the March 2007 Ontario Budget, pledged $2.1 billion over the first five years to help low-income families support their children (UWGT 2007:73). 2007 The federal government introduced a non-refundable child tax credit which provides income tax savings of up to $300 for children of all ages to tax-paying parents (Senate of Canada 2008-06-08). 2007-11-12 Ligaya, Armina. 2007. “The debate over Canada’s poverty line.” CBC News On-line. http://www.cbc.ca/news/background/economy/poverty-line.html November 12. “[C]hild poverty numbers have not budged at all since 1989 when Canadian parliamentarians stood up and promised to do their best to eradicate it within a decade. Even today, 11.7 per cent of children under 18 are living below the low-income cut-off line.” There are now record numbers of tenants being evicted from their homes and a rising dependency on food banks (Shapcott cited in Ligaya 2007). 2006 Newfoundland announced a strategy to become the province with the lowest poverty rate by 2016. 2006 20,900 Canadian children used food banks, double the number in 1989. 2006 The Universal Child Care Benefit (UCCB) was added, with payments of monthly instalments of $100 for every child under the age of 6 (regardless of parental income) (Senate of Canada 2008-06-08). 2006 The net worth of the lowest quintile fell to a negative net worth from zero while national net worth grew 2.8% in the last quarter of 2006. Less than 10% of families who hold at least 53% of total Cdn. net worth ($4.8 trillion) (Drummond and Tulk, 2006). 2006-11-24 CBC news summarized details from the Campaign 2000 (2006) National Annual Report on Child Poverty with the headlines “Aboriginal children are poorest in country: report: B.C. and Newfoundland have highest rates; Alberta and P.E.I. have lowest rates.” November 24, 2006. One aboriginal child in eight is disabled, double the rate of all children in Canada; Among First Nations children, 43 per cent lack basic dental care; Overcrowding among First Nations families is double the rate of that for all Canadian families; Mould contaminates almost half of all First Nations households; Almost half of aboriginal children under 15 years old residing in urban areas live with a single parent; Close to 100 First Nations communities must boil their water; Of all off-reserve aboriginal children, 40 per cent live in poverty. 1999-2005 Considerable wealth was accumulated in Canada between 1999 and 2005. In 2005 net worth increased by 41.7% to nearly $1.5 trillion (US?). The most recent Statistics Canada report revealed today that the Canadian national net worth reached $4.8 trillion by the end of the third quarter. While in terms of an economist’s algorithm this translates into an average of $146,700 per person. In reality only the a tiny number of Canadian households benefited. “The gain in net worth resulted from an increase in national wealth (economy-wide non-financial assets) as well as a sharp drop in net foreign debt. National net worth grew 2.8% in the third quarter, the largest increase in more than two years (Statistics Canada 2006)”. 2005 According to Stats Canada the disparity between the top income-earning category and the lowest was $105,400 (Shapcott cited in Ligaya 2007). Statistics Canada income figures showed 788,000 children were living in poverty in 2005, a rate of 11.7 per cent. 2005 41 per cent of all low-income children lived in families in Canada where at least one parent had a full-time job (Campion-Smith 2007). 2004 Since 2004, the 25 countries of the European Union (EU) have been developing a new statistical data source, known as Community Statistics on Income and Living Conditions (EU-SILC). EU-SILC aims to become the reference source of comparative statistics on income distribution and living conditions within the EU. A primary purpose of EU-SILC is to monitor the common indicators (the so-called Laeken Indicators) by which the EU has agreed to measure its progress towards reducing poverty and social exclusion. EU-SILC therefore replaces the European Community Household Panel (ECHP) which was the main source of such data from 1994 until 2001 (for the then 15 Member States of the EU). Designed to fill some of the acknowledged gaps and weaknesses of the ECHP, EU-SILC collects every year comparable and up-to-date cross-sectional data on income, poverty, social exclusion and other aspects of living conditions – as well as longitudinal data on income and on a limited set of non-monetary indicators of social exclusion. The first EU-SILC data for all 25 Member States of the current EU, plus Norway and Iceland, should be available by the end of 2006. The first 4-year longitudinal data on ‘those at-persistent-risk-of-poverty’ will be available by the beginning of 2010. In addition to populating these core indicators, each round of EU-SILC also gathers data on one particular theme – beginning in 2005 with data on the intergenerational transmission of poverty. 2001 Over 653,000 Canadians were earning wages that classified them as “working poor” (and 1.5 million people were directly affected, one third of them children under the age of 18) (Senate of Canada 2008-06-08). 2001-05 The National Council on Welfare using the LICO claimed that 5 million Canadians are living in poverty. 2000-12 Laurel Rothman, the National Coordinator of Campaign 2000 wrote a Letter to the Editor entitled “Richer, poorer” to the National Post in response to their editorial dismissing Campaign 2000’s annual report card (Rothman 2000). 2000-12-05 The editorial in the Toronto Star dealt with child poverty in Canada. 2000-11-24 The National Post published an editorial dismissing Campaign 2000’s Annual National Report Card on Child Poverty in Canada (Rothman 2000). 2000 Almost 1 in 5 children still living in poverty in Ontario. 1998 The National Child Benefit Supplement was added to the CCTB to provide increased benefits to all low-income families including those without taxable income. 1996 The number of Canadians living under the low-income cut-off after taxes was 11.6 per cent in 1980, according to Statistics Canada, far lower than the 1996 peak of 15.7 per cent (Yalnizyan cited in Ligaya 2007). 1995-2005 The national Irish government set firm targets, created timetables and reported annually so the public could easily see progress being made against poverty. In this way they reduced poverty from 15 per cent to 6.8 per cent (Yalnizyan in Monsebraaten and Daly 2007). 1995 The World Summit for Social Development was held in Copenhagen. The Copenhagen Declaration and Programme of Action was adopted. The Copenhagen stressed the urgent need for countries to deal with social problems such as poverty, unemployment and social exclusion (Symonides 1998). This was the largest gathering ever of world leaders. The declarations, programmes included a pledge to put people at the centre of development, to conquer poverty, to ensure full employment, to foster social integration (Development 1995). 1991 Canada experienced a transformational recession for the labour market and began emerging from that only in 1997 (Yalnizyan cited in Ligaya 2007). 1989 The Canadian Parliament unanimously supported a resolution to eliminate child poverty by 2000. 1988 The UNICEF Innocenti Research Centre, located in Florence, Italy, was established in 1988 to strengthen the research capability of the United Nations Children’s Fund and to amplify its voice as an advocate for children worldwide. 1980s and 1990s Single mothers, disabled people, aboriginal Canadians and immigrants suffered cuts in welfare payments (which are too meagre to keep someone above the country’s de facto poverty line) when governments, both federal and provincial, cut public spending to restore fiscal health (The Economist 2010-11-25). 1981-82 Canada experienced a transformational recession for the labour market and it took the country about eight years to climb out of the rut (Yalnizyan cited in Ligaya 2007). 1971Senator David Arnold Croll, PC, QC published his influential “Report of the Special Senate Committee on Poverty” (Croll Report) which began with the words “the poor do not choose poverty. It is at once their affliction and our national shame. The children of the poor (and there are many) are the most helpless victims of all, and find even less hope in a society where welfare systems from the very beginning destroys their chances of a better life.” The report moved the Trudeau government to triple family allowances in 1973 and institute the Child Tax Credit in 1978. Aside from his work on poverty, he was also responsible for Senate reports on aging. In 1990 in recognition of his contributions, he was sworn into the Queen’s Privy Council for Canada, an honour usually given only to federal cabinet ministers. Battle, Ken. 2008-01. “A Bigger and Better Child Benefit: A $5,000 Canada Child Tax Benefit.” Caledon Institute. Ottawa, ON p.3. The Standing Senate Committee on Social Affairs, Science and Technology. 2009-12. “In From the Margins: a Call to Action on Poverty, Housing and Homelessness.” Subcommittee on Cities. Ottawa, ON: Government of Canada. The Standing Senate Committee on Social Affairs, Science and Technology. 2008-06. “Poverty, Housing and Homelessness: Issues and Options.” Subcommittee on Cities. Ottawa, ON: Government of Canada. Public Interest Alberta, the Alberta College of Social Workers, and the Edmonton Social Planning Council. 2011-11. “In This Together: Ending Poverty in Alberta.” Edmonton, AB. ISBN 978-0-921417-60-6. Atkinson, A. B. Macroeconomics and the Social Dimension. Barata, Pedro. 2000-12-06. “No surplus for kids.” Letter of the Day. Toronto Star. Bradshaw, J. and Mayhew, E. (eds.) 2005. The well-being of children in the UK, Save the Children. London. Campion-Smith, Bruce. 2007. “Ontario leads in child poverty.” Feature on Poverty. Toronto Star. November 26. CBC. 2006. “Aboriginal children are poorest in country: report: B.C. and Newfoundland have highest rates; Alberta and P.E.I. have lowest rates.” November 24, 2006. CBC. 2007. “Child poverty rates unchanged in nearly 2 decades: report.” November 26. Drummond, Don & Tulk, David (2006) Lifestyles of the Rich and Unequal: an Investigation into Wealth Inequality in Canada. TD Bank Financial Group. The Economist. 2010-11. “The persistence of poverty amid plenty.” The Economist. Ligaya, Armina. 2007. “The debate over Canada’s poverty line.” CBC News On-line. November 12. Marlier, E.; Atkinson, A.B. ; Cantillon, B.; Nolan,B. 2006. The EU and social inclusion: Facing the challenges. Policy Press: Bristol. Mcquaig, Linda. 1995. Shooting the Hippo: Death by Deficit and Other Canadian Myths. Toronto, Viking. Mcquaig, Linda. 1998. The Cult of Impotence: Selling the Myth of Powerlessness in the Global Economy. Toronto, Penguin Books. McMahon. Fred. 2000. “The true measure of poverty.” Op-Ed. Peterborough Examiner on ? Monsebraaten, Laurie; Daly, Rita. 2007. “In search of a poverty strategy.” Toronto Star. May 09. Monsebraaten, Laurie; Daly, Rita. 2007. “Toronto families slip into poverty.” Toronto Star. November 26. Richards, John. Reducing Poverty: What has worked, and what should come next. Rothman, Laurel. 2000. “Richer, poorer.” Letter to the Editor. National Post. Toronto. December. Rothman, Laurel; Shillington, Richard. 2000. “A place for every child: building an inclusive society.” Peterborough Examiner. December 7. Statistics Canada. 2006. “National balance sheet accounts: Third Quarter”. Press Release. Ottawa, ON. December 15, 2006. UNICEF. 2001. Innocenti Report Card. Issue No. 1. UNICEF. 2007. “Child poverty in perspective: An overview of child well-being in rich countries: The most comprehensive assessment to date of the lives and well-being of children and adolescents in the economically advanced nations.” Innocenti Report Card 7, 2007. UNICEF Innocenti Research Centre, Florence. United Way of Greater Toronto. 2007. Losing Ground: The Persistent Growth of Family Poverty in Canada’s Largest City.